CruiseMDR has 3 Event Vessels available: 1. 31' Sea Ray Sundancer - Max capacity 6 passengers. Ideal for an intimate event. 2. 57' Party Boat - Max capacity 62 passengers. Cruise the harbor with a licensed bar. Catering and DJ available. Any type of event from birthday party to wedding. 3. 70' Classic Motor Yacht - Max capacity 41 passengers. 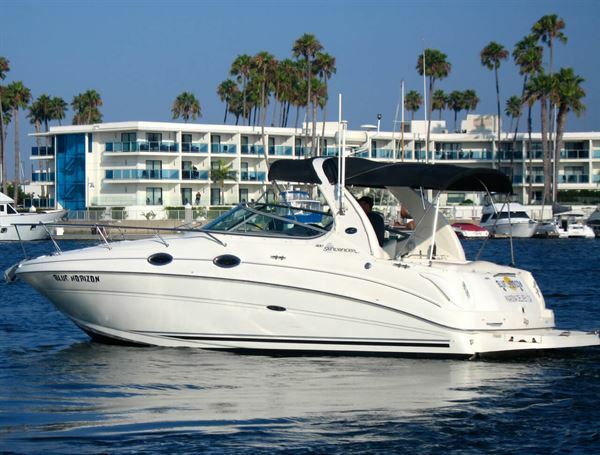 Cruise the ocean in the only USCG licensed motor yacht to exit the harbor in Marina del Rey. Wild parties in the ocean, weddings, memorials etc. 2 Hour Cruise After departing Marina del Rey we head south into the Pacific Ocean. Enjoy the picturesque views of Playa del Rey and Manhattan Beach. 2 Hour Cruise After departing Marina del Rey we head north into the Pacific Ocean. We pass the world famous Venice Beach then onto Santa Monica with amazing views of the pier and beaches. 3 Hour Cruise Head north into the Pacific Ocean, includes views of Venice Beach, Santa Monica, Pacific Palisades, Malibu and the entire Santa Monica Bay. 3 Hour Cruise Head south into the Pacific Ocean, includes views of Manhattan Beach, Redondo Beach and onto the rugged beauty of the Palos Verdes Peninsula. On a clear day you will view Catalina Island and the entire Santa Monica Bay. Spend 4 hours going wherever you want to go and doing whatever you want to do. Spend 8 hours going wherever you want to go and doing whatever you want to do. Cruise to Avalon or Two Harbors on a custom Catalina Island cruise. Call for more info.